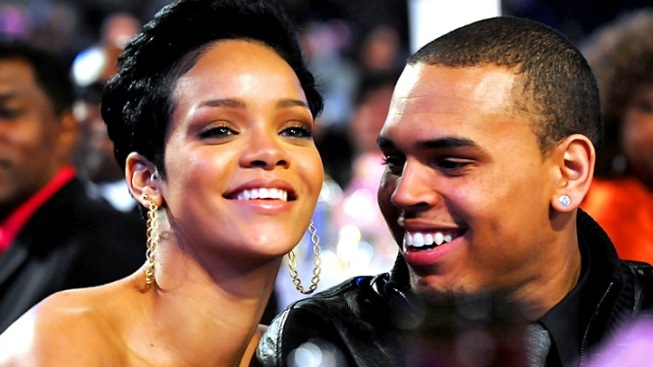 "I love Chris Brown," Rihanna's dad told In Touch magazine. Brown was convicted of brutally assaulting Rihanna in 2009. Rihanna's dad may love Chris Brown, but Brown says his love is split between two women. Brown arrived solo in Los Angeles Friday, a day after the singer announced his break-up from model girlfriend Karrueche Tran — and two after he was caught making out with ex-girlfriend Rihanna at a Manhattan nightclub. Brown also released a video in which he drunkenly talks about having feelings for two women at once. "Is there such a thing as loving two people? I don't know," he said in the video. "I'm not trying to be a player." "The Real Chris Brown" from David Alan on Vimeo. If anyone's feelings are clear, it's those of Rihanna's father Ronald Fenty. Fenty sang the praises of the man convicted of assaulting his daughter to In Touch. "I love Chris," he said. He lauded Brown's "charisma” and talent and said the singer, who was convicted of brutally assaulting Fenty's pop star daughter in 2009, saying Brown always shown respect for him. "That's what I love about him," Fenty told In Touch — adding that he had no problem with the prospect of Rihanna reuniting with Brown. Rihanna has spoken in the past about her troubled relationship with her father and how she says it has affected her own choices. "I was angry about a lot of things from my childhood," she told Oprah in an interview in August, saying her father was an addict and extremely physically abusive to her mother. Brown, meanwhile, remains on probation for his 2009 assault on Rihanna, and a judge refused last week to revoke that probation after he tested positive for marijuana.